Display our Love Blooms Here Half Moon Personalized Doormat to show love and spring are blooming in your home. The combo of deep jewel tones and bright colors add drama to your spring doorstep! Personalize this doormat with any title that you choose. Bloom where you are planted, right here in your home! Bought this product for our niece and her husband as they are expecting their second child in May. Thought it was wonderfully appropriate for them. Additional Details Our personalized doormats set the tone for what to expect when someone walks in the door of your home! 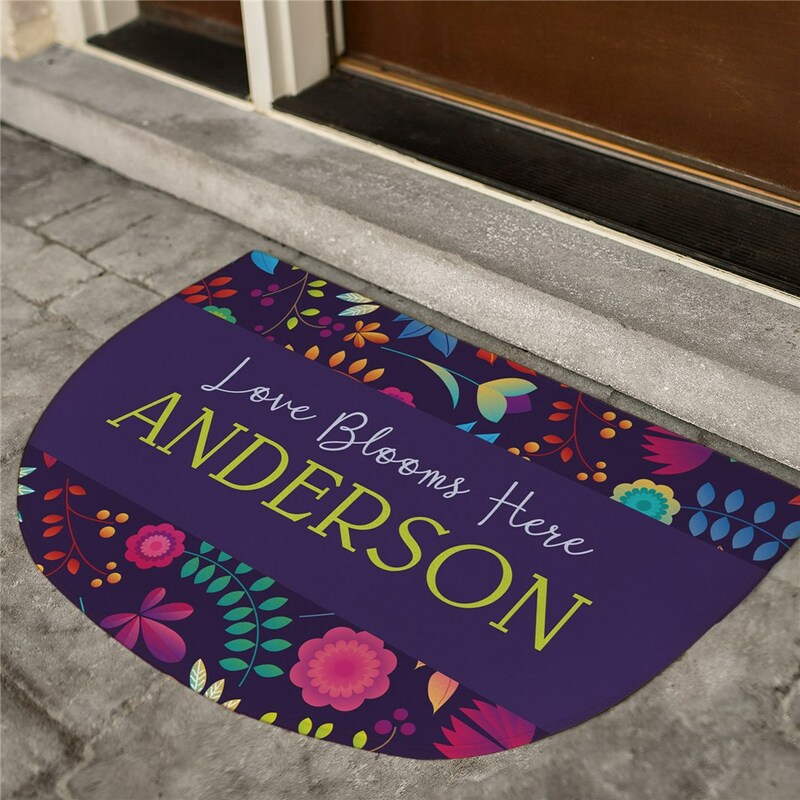 Show people you're fun and ready for spring with this doormat, and find other personalized home decor for spring here at GiftsForYouNow!